WASHINGTON, D.C. – (RealEstateRama) — The best quarterly sales pace of the year pushed available housing supply to record lows and caused price appreciation to slightly speed up in the final three months of 2016, according to the latest quarterly report by the National Association of Realtors®. The report also revealed that sales prices in over half of measured markets since 2005 are now at or above their previous peak level. The median existing single-family home price increased in 89 percent of measured markets, with 158 out of 178 metropolitan statistical areas 1 (MSAs) showing sales price gains in the fourth quarter of 2016 compared with the fourth quarter of 2015. Twenty areas (11 percent) recorded lower median prices from a year earlier. There were more rising markets in the fourth quarter compared to the third quarter of 2016, when price gains were recorded in 87 percent of metro areas. Thirty-one metro areas in the fourth quarter (17 percent) experienced double-digit increases — an increase from 14 percent in the third quarter. The national median existing single-family home price in the fourth quarter of 2016 was $235,000, which is up 5.7 percent from the fourth quarter of 2015 ($222,300). The median price during the third quarter of 2016 increased 5.4 percent from the third quarter of 2015. At the end of the fourth quarter, there were 1.65 million existing homes available for sale 2, which was 6.3 percent below the 1.76 million homes for sale at the end of the fourth quarter in 2015 and the lowest level since NAR began tracking the supply of all housing types in 1999. The average supply during the fourth quarter was 3.9 months — down from 4.6 months a year ago. 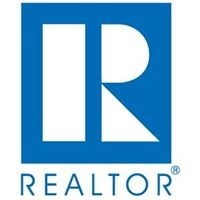 Total existing-home sales 3, including single family and condos, rose 3.3 percent to a seasonally adjusted annual rate of 5.57 million in the fourth quarter from 5.39 million in the third quarter of 2016, and are 7.1 percent higher than the 5.20 million pace during the fourth quarter of 2015. Despite a meaningful increase in the national family median income ($70,831) 4, rising prices and the boost in mortgage rates at the end of the year slightly weakened affordability compared to a year ago. To purchase a single-family home at the national median price, a buyer making a 5 percent down payment would need an income of $51,017, a 10 percent down payment would require an income of $48,332, and $42,962 would be needed for a 20 percent down payment. “Even a pick-up in wage growth may be insufficient to compensate the impact of higher mortgage rates and home prices. Increased homebuilding will be crucial to alleviate supply shortages and stave off the affordability hit,” added Yun. Metro area condominium and cooperative prices — covering changes in 61 metro areas — showed the national median existing-condo price was $222,000 in the fourth quarter, up 6.1 percent from the fourth quarter of 2015 ($209,300). Nearly all metro areas (93 percent) showed gains in their median condo price from a year ago. The five most expensive housing markets in the fourth quarter were the San Jose, California, metro area, where the median existing single-family price was $1,005,000; San Francisco, $837,500; Anaheim-Santa Ana, California, $745,200; urban Honolulu, $740,200; and San Diego, $593,000. The five lowest-cost metro areas in the fourth quarter were Youngstown-Warren-Boardman, Ohio, $87,600; Decatur, Illinois, $92,400; Cumberland, Maryland, $94,000; Rockford, Illinois, $109,500, and Binghamton, New York, $109,700. Total existing-home sales in the Northeast jumped 10.5 percent in the fourth quarter and are now 6.4 percent above the fourth quarter of 2015. The median existing single-family home price in the Northeast was $254,100 in the fourth quarter, slightly lower (0.2 percent) from a year ago. In the Midwest, existing-home sales climbed 2.3 percent in the fourth quarter and are 8.8 percent above a year ago. The median existing single-family home price in the Midwest increased 5.7 percent to $181,100 in the fourth quarter from the same quarter a year ago. In the West, existing-home sales rose 1.6 percent in the fourth quarter and are 9.1 percent above a year ago. The median existing single-family home price in the West increased 7.8 percent to $348,800 in the fourth quarter from the fourth quarter of 2015. Data tables for MSA home prices (single family and condo) are posted at https://www.nar.realtor/topics/metropolitan-median-area-prices-and-affordability. If insufficient data is reported for a MSA in particular quarter, it is listed as N/A. For areas not covered in the tables, please contact the local association of Realtors®. 1 Areas are generally metropolitan statistical areas as defined by the U.S. Office of Management and Budget. NAR adheres to the OMB definitions, although in some areas an exact match is not possible from the available data. A list of counties included in MSA definitions is available at: http://www.census.gov/population/estimates/metro-city/List4.txt(link is external). NOTE: Existing-Home Sales for January will be released February 22, and the Pending Home Sales Index for January will be released February 27; release times are 10:00 a.m. ET.